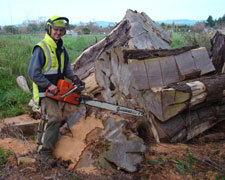 Based in the Manawatu, we deliver thoughout the region and beyond, even delivering to Kapiti. Delivery is free within the Palmerston North and Feilding city limits. Outside these areas a delivery fee usually applies. To see fees click here delivery fees. 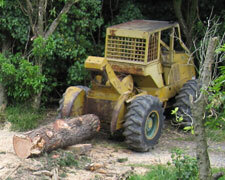 In 1994 Andrew Mitchell began a firewood business, Andrews Firewood. He soon became aware that firewood merchants had a similar reputation to the stereotypical used car salesman, "very dodgy". He heard many stories of merchants promising that their firewood was dry and delivering wood that had a high moisture content and so burned poorly, if at all. Andrew realised that the only way to keep firewood dry during those cold, wet winter months was to store it in sheds. 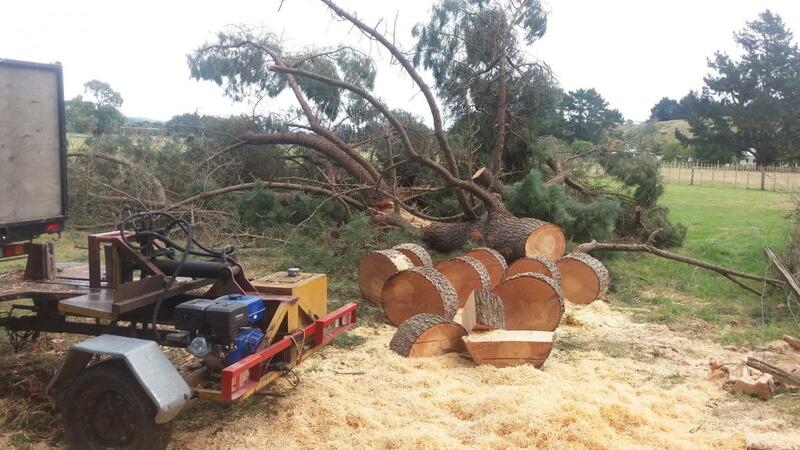 This is an expensive and time consuming undertaking and most merchants do not go to the lengths needed to ensure that they are delivering wood that's really dry. But that was his promise to you.... and one that we still stand by. In June 2015, after working for Andrew for the previous 6 years, I bought the business and look forward to carrying on the same reputation that Andrew and Sonja have spent the past 20+ years establishing - ensuring you are getting Dry Firewood That's Really Dry! All our firewood is hand loaded onto our trucks and moisture readings are taken regularly to make sure you are getting "Dry firewood that's really dry" or your money back! We are not taking any more orders at this time as we do not want to over book our supply. As our wood comes in at different time it also dries at different times too. We will take orders again in April. Keep an eye on the webite to see whats available. We have bags of kindling available for $12, ask if you are interested! If you need a chimney clean please phone Georg on 0 800 422 5326. We do have new stock coming in and we will update the website to reflect what we have available. So please keep checking the website. Insurance companies and the Fire Service recommend that chimneys be cleaned each year to minimise fire risk. Poor efficiency of your fireplace or log burner. Unwanted animal, bird, and rodent entry. ALWAYS BURN DRY FIREWOOD. Firewood is considered dry if it contains less than 25% moisture. This is the measure used by the "Consumer" Magazine and other industry watch dogs such as the television program "Target". Because this seems to be the accepted industry standard for dryness, we at Andrew's Firewood use this as our yard stick. For convenience, we recommend that you store your firewood as close to your house as possible. Long treks to get your wood in wild winter weather is not much fun. Remember that although your firewood will be delivered nice and dry, if it's exposed to the rain or moisture, your wood can soak up water and become unburnable. 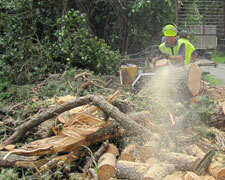 We therefore recommend that all firewood is stored in a dry, covered area. It is good to store your wood in a purpose built woodshed, in your garage or under your carport. The Consumer magazine says that the cheapest and most environmentally sound home-heating option is to use firewood in a modern woodburner. Contrary to popular belief, if burned properly firewood is an environmentally friendly choice for heating your home. This is because wood is both a renewable resource and carbon neutral. Compared to fossil fuels like oil, gas or coal, wood hardly emits any net carbon dioxide into the environment.